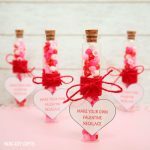 A DIY Valentine baking kit for kids to put together for a fun and sweet experience with your little ones on Valentine’s Day. By the time I placed the cookies in the oven our kitchen was a complete disaster. I looked back at my son and he was covered in flour head to toe. He didn’t seem to mind it, though. He was busy licking the batter off his fingers. 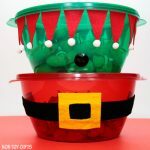 He is such an enthusiastic little helper and usually forgets to hold on to the bowl while whisking the ingredients or crack the eggs with a gentle move. This is the story that I could tell each time my youngest son and I get together in the kitchen. I don’t need to change any details. It’s the same. Every single time. And the same is the big smile on my kiddo’s face when he takes his first bite from the cookies he helped baking. It’s so precious that I chose to overlook the messy side and am willing to start over any time. Who doesn’t love pancakes, right? 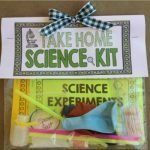 What about a DIY pancake kit for kids? 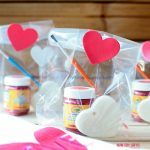 If you enjoy baking with your little ones, Valentine’s Day is the day to bake heart shaped cookies and have fun decorating them with red and pink frosting. 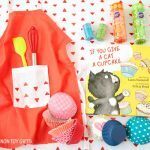 A Valentine baking kit for kids will be a nice addition to your experience and a lovely gift you can easily put together. 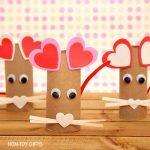 Stores are already displaying their Valentine’s Day products. 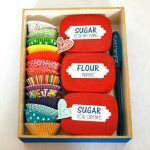 All you need to do is visit their baking aisle and pick the items that you think would be a good fit. 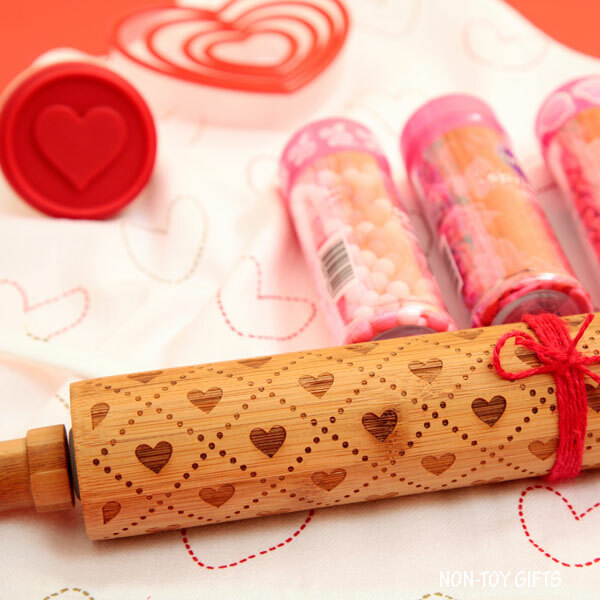 Most of our items come from a craft store and the rolling pin from a home store. apron. 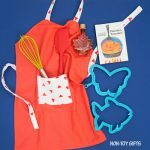 I got a lovely heart tea towel from $1 aisle at Target and turned it into an apron. 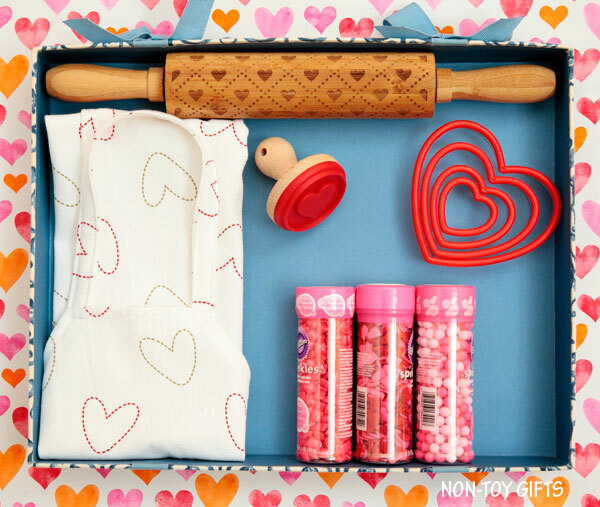 As an alternative to the heart rolling pin, you can use a personalized rolling pin . (It is personalized with your child’s name).